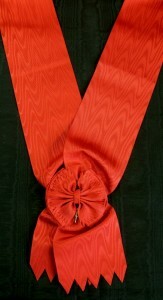 #FR001 – France, Order of the Legion of Honor Grand cross sash type 1. This entry was posted in France and tagged decoration, France, grand cross, Grand Cross Grosskreuz, Honor Grand, Honor Legion, medals, military ribbons, orders, ribbons, ribbons sash, sash, sashes. Bookmark the permalink.